Refrigerator Repair pros help save money this summer. In no time at all, Texans will be faced with the hot days of summer. So before that happens, our refrigerator repair staff wanted to share three of their energy saving tips with you and other families. Each tip is suitable for use regardless of which refrigerator brand you and other residents may have on hand. In our refrigerator repair staff’s opinion, one of the easiest ways to save energy, and money, is to set your fridge at the ideal temperature. In most instances, that perfect temperature range runs from 35 Degrees Fahrenheit to 38 Degrees Fahrenheit. However, you may want to check the owner’s manual that came with your refrigerator to be sure. Having our refrigerator repair staff check your unit’s seals and condenser coils at the start of the season can be helpful too. After all, broken seals and dirty condenser coils are two chief reasons why refrigerators lose energy during hot, Texas summers. Our refrigerator repair pros can take care of those two issues and more during routine service calls. Another reason why refrigerators lose energy during the summer months has to do with its contents. Thus, it is important to make sure that you keep the fridge full and position its contents away from the interior walls too. Doing so will help to keep the air inside of the fridge circulating and at the proper temperature. In addition, never put hot food into the fridge. Not only is it a food safety hazard, it can cause your fridge to work double time as well. For more information about these and other energy saving measures, please contact our refrigerator repair professionals at (800) 617-6235. If you call now, we can help ensure that your Texas home’s appliances will be safe, energy efficient and ready for all of the warm days ahead. 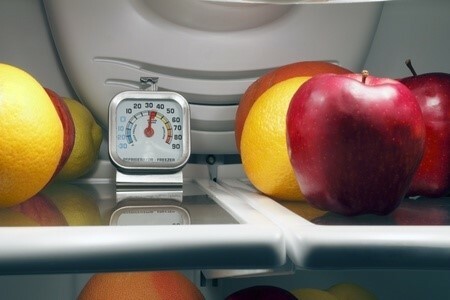 Refrigerator Repair tips to a more efficient fridge. 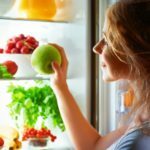 If upon opening your refrigerator this morning, you discovered a lack of cool air, you’re most likely dealing with a temperature malfunction and need refrigerator repair. While nobody enjoys troubleshooting one of their appliances, finding the reason behind the defect can help you save your food and your refrigerator. Listed below are 3 common issues that can cause your appliance to warm up instead of cool down. When you notice your refrigerator or freezer isn’t as cold as you would like, the first function you should check is the temperature control. On most refrigerators, the temperature control is a simple system that permits more or less cool air to flow between the freezer and the refrigerator by opening and closing the vents in the appliance. In cases where a refrigerator’s temperature control is malfunctioning, corroded wiring is often the cause. Removing the control dial from the appliance’s interior wall and inspecting the wiring and the terminals can help you determine if there is any corrosion present. If there is, the damaged parts will need to be replaced. The vents that are located between your freezer and refrigerator have the potential to become blocked by ice or over-packing. Unfortunately, when those vents are clogged, the airflow in your fridge becomes restricted, and that’s when you are likely to notice your appliance it is not maintaining a cool enough temperature. Luckily, this problem is easily fixed by locating the vents and determining if ice build-up or food storage is the issue. If overcrowding is the cause, simply rearrange or remove the objects that are clogging the vents. On the other hand, if ice is the culprit, defrosting your freezer to rid it of ice obstruction should open your vents and allow cool air to pass freely through them. The cool air coming into your refrigerator and freezer is circulated by an evaporator fan. If the fan is malfunctioning, your appliance will not sustain a proper temperature. The fan is usually located in the back of the freezer. You can inspect the part by removing the rear panel that covers it. If you notice the movement of the blades is not smooth, an object may be obstructing their path, or the motor that causes the fan to rotate is no longer functioning correctly. When you suspect your evaporator fan is faulty, it is best to call a refrigerator repair company, so you can receive a trained professional’s opinion. If you are concerned your refrigerator is no longer sustaining an adequate temperature, please contact us at SoBellas Appliance Repair. We offer same day service and have aided over 35,000 customers in the last 37 years.